The SAP Transformation Navigator (STN) is a free, intuitive tool that pulls in a customer’s existing product landscape built on SAP solutions and helps chart their road towards an intelligent enterprise with SAP S/4HANA. At SAPPHIRE NOW 2018, SAP introduced exciting new strategies and topics: C/4HANA, Leonardo innovation kits, SAP’s focus on the intelligent enterprise, integration of SAP Cloud Platform with all the big public cloud providers (AWS, Azure, Google), and much more. As a result, over the past few months, the STN team has been working on updating the tool’s content to reflect new product changes and strategies, to ensure that the SAP Transformation Navigator still provides accurate industry-specific recommendations. 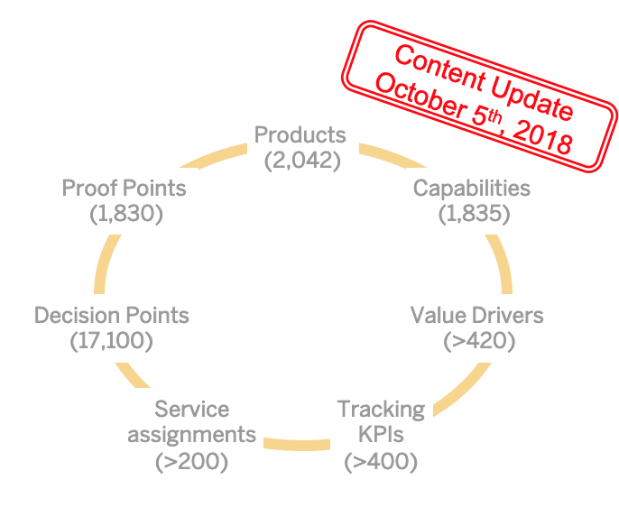 The content update is planned for October 5th, with the most significant change focusing on the new C/4HANA strategy and all product recommendations will reflect that update. Many users will be excited to learn that now, for the first time, Product Maps created in the past will not be archived and the accessibility of those maps will remain the same. However, products with new recommendations are automatically updated in the existing Product Maps. Upon logging into the STN after the content update, the user may be informed that some recommendations in their maps may have been changed. Hence, the user is prompted to double-check their existing maps to view any updated recommendations and/or open decisions. The SAP Transformation Navigator now includes 2,042 products, 1,835 capabilities, and 1,830 proof points. Industry Representative Templates include pre-selected products and solution capabilities that a typical customer in that industry would use. Adoption has been excellent, with 4,800+ downloads from sap.com and 3,200+ Product Maps created with this function. With the content update, any new Product Maps made with Industry Representative Templates will reflect the new changes. The Industry Reference Product Maps bring together SAP’s experience and thought leadership to display the most important products for that industry in the context of the SAP Digital Transformation Framework (ie the maps are not based on the customers existing SAP footprint). These maps have been updated to reflect the availability of new products and C/4HANA strategy. The SAP Transformation Navigator celebrated its one-year birthday with a big splash at SAPPHIRE NOW this year, with the 2nd most visited topic station of the entire conference. Many customers, partners, and employees wanted to learn more about the tool and build custom product maps on site. For those who did not have the opportunity to visit the STN booth in Orlando, please visit us at one of the many upcoming conferences this season. Our team will be available to speak to customers, partners, and our colleagues, and will help create personalized road maps and transformation guides. 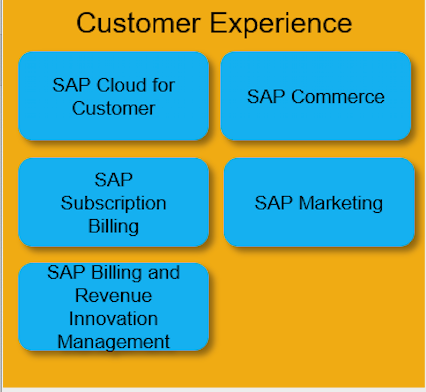 For more information about the SAP Transformation Navigator tool, please visit https://support.sap.com/stn. And, stay tuned for a post-conference update coming soon!